Writing a book with one interesting character is hard enough. 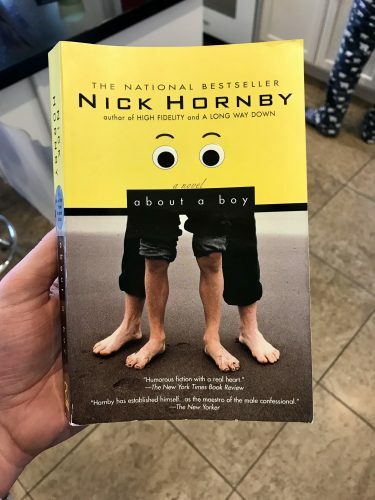 Here, Hornby somehow managed to write a book with several endearing characters, all of which kept me interested until the final period. Although I enjoyed the movie’s ending, the original book ending and additional character development is much better. I’m convinced Hornby could double as a behavioral psychologist—he understands and articulates human nature so well. Sci-fi language is often distracting. Not with this novel. I’ve been working my way through some of history’s best-rated science fiction novels. And “no,” I don’t distinguish sci-fi from fantasy. Overall, I find the technical language of books such as Hyperion, Shockwave Rider, and others with ridiculous covers—the kind Gentlemen Broncos makes fun of—too distracting to enjoy. Reading them feels like work. It’s almost as if the author wants me to decipher or decode the language before understanding it. It’s why I abandon many of these books, including The Hobbit. After all, I read to enjoy or educate myself—not learn a fictional language. When they’re not using overly technical and distracting language, sci-fi novels often finish in confusing or unpoetic form, as is the case with Ender’s Game, an otherwise clever book. Now, I haven’t completely given up on the genre. I still have Dune, Starship Troopers, 10,000 Leagues Under the Sea, A Hitchhiker’s Guide to The Galaxy, and others on my list. 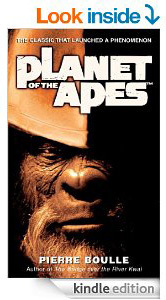 My faith in the genre skyrocketed today, however, after reading the first chapter of Planet of the Apes. It’s one of the best opening chapters I’ve read of any genre. It’s so captivating, I dare any imaginative mind over the age of 10 to read the first chapter and desist. It’s humanly impossible. Try it yourself if you don’t believe me, for free even. That’s how you pull someone into a novel. Bravo, Pierre Boulle. UPDATE: After finishing the book, I now regard Planet of the Apes as masterpiece literature—from beginning, middle, to the very ironic ending. Five stars out of five.